Customers today expect only the best experiences. 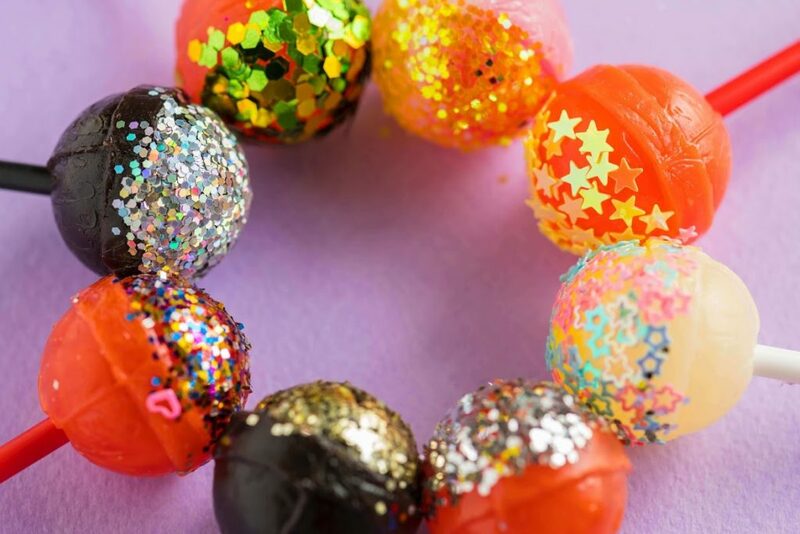 You need to think like the old-time mom to keep them happy. Know your customers, care for their experiences, and put them always first. CRM software is a reliable way to communicate with customers and meet their desires in real time. Companies using CRM to ensure a phenomenal growth in an easy and automated way. Have you ever thought a salon or life science company would use a CRM? It’s now the reality in this competitive era of business. Stay with us to the end. Discover how even non-traditional companies are successfully using CRM to differentiate their customer service. Previously we talked about a couple of unconventional organizations using CRM for growth. This article builds upon more organizations as well as possible web CRM solutions that may fit your business needs. The actual purpose of a CRM is to provide all the requisite tools for companies to engage with customers. It’s important to achieve sustained selling growth for your business. Customer relationship management (CRM) is a technology that allows businesses to organize, automate, and synchronize every facet of customer interaction. A CRM is about using technology to unite all the people together–salespeople, customer service representatives, accountants, shipping clerks, independent dealers, and finally customers. Customers are important to your business. No matter what product or service you are offering, they are the single valuable asset. Have you ever thought that your customers not only provide precious feedback but serve as a springboard for new concepts and ideas? And surely you will not forget about the revenue they bring in! So, customer satisfaction should be the number-one focus of your business in all these regards. Here comes the importance of CRM. check out what you could get with a CRM. We know CRM solutions are mostly used by businesses involved with tangible products. Similarly, CRMs are traditionally used by companies who have a sales team or simply who directly interact with customers. But it’s now a past reality. The whole picture has been changed over the last few years. Today there is a surge of CRM usage in the more untraditional type of organizations. We face almost the same question every day from different sorts of organizations- how we can manage our customers more effectively and ensure outstanding feedback? These make us feel that every business, no matter the industry, eventually needs a CRM today. It inspires us to make our product more flexible and customizable, also fits every organization’s needs. We are going to shortly discuss some non-traditional companies using CRM to manage their customers in an automated way. A video game publisher is the type of company we don't think even they would use a CRM. The only way to measure the success of these companies is bringing a huge amount of revenue in. Why do they need to use a CRM solution? Activision proved that CRM is a must needed solution for them too. Activision is a leading publisher in the American video game market for over three decades. By using a CRM, Activision became able to monitor social media conversations that are relevant to their products. CRM software allows Activision to easily follow up on those discussions. Managing customers in an automated way, Activision found that they were able to decrease the annual customer service operating expenses by 25%! This is why you need to consider using a CRM even for your non-traditional business. It's a bit uncomfortable to mention students as customers! But what you could do? Satisfaction is the first thing to consider in this competitive era of business. Today even a school or University need to establish a system to perfectly manage their students and alumni/donors. Education institutions are going through vital changes in the way they operate and interact with their students, their parents, alumni, employers, and staff members. this is why uses of CRM solution are becoming common in day to day. The CRM system has helped us to focus on the right recruitment activities and structure the communications with our prospective and admitted students. Among other things, we can now reach the right audience, target prospects with personalized content and invite interested students to the events related to them.- Natalia Antsiferova from Stockholm School of Economics. 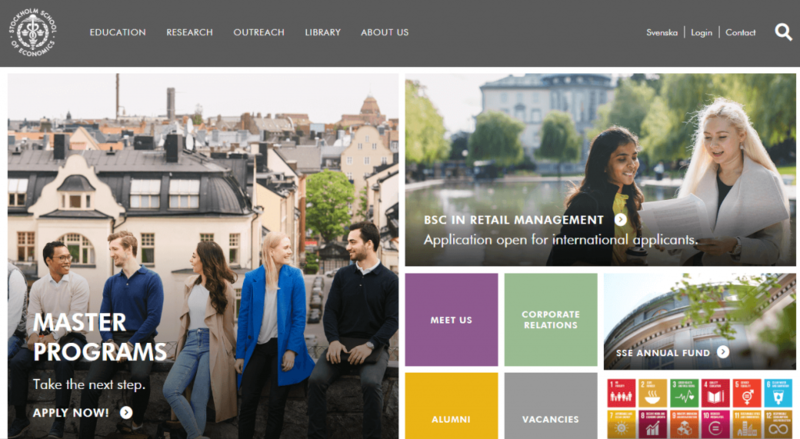 Stockholm schools of economics is one of the companies using CRM to improve their customer satisfaction. 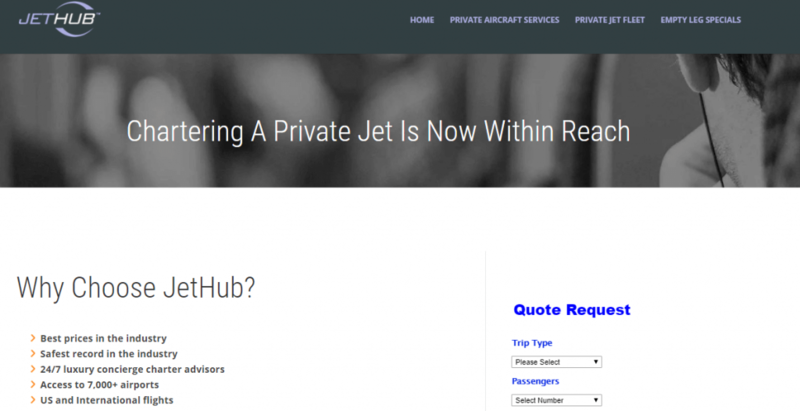 JetHub is a worldwide charter service that offers private flights to more than 7,000 airports in the United States and abroad. JetHub needed a better way to manage its customer information and that’s where CRM solution came into the picture. We now have complete visibility of our clients and client interactions, and also an easy way to follow up on the leads we get from our website.’- says Kevin Lippert, President of JetHub. What benefits could JetHub get through using a CRM? 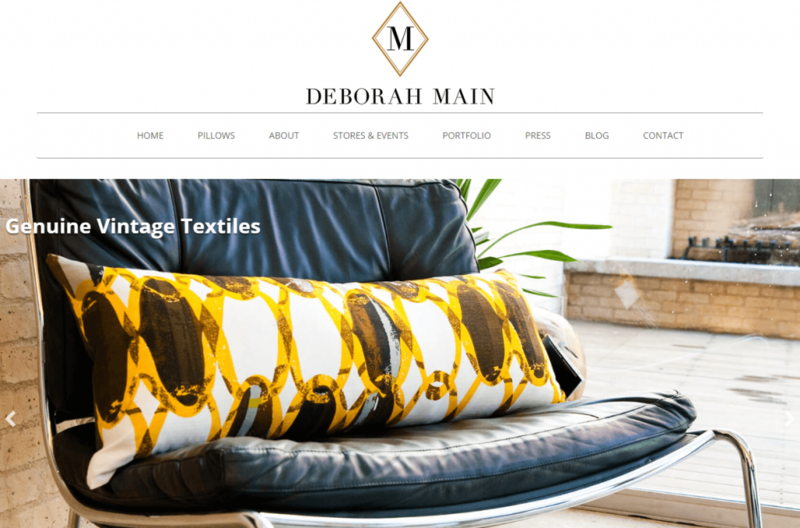 Deborah Main is a Pillow designs provider from Austin, Texas. Debrah main enjoys delivering personalized designs to their customers. Deborah Main Designs specializes in handcrafted luxury pillows. They also use CRM to easily communicate with retailers, interior design clients, and individual customers. CRM made it easy for them to maintain attending trade shows across the country and track the output. Take a look at their site to learn more about Debrah Main‘s products and services. Food delivery company like Munchery started using CRM to manage their business. At a stage of their continuous service, Monchery discovered managing all the tasks became challenging. Soon they took the decision to implement a CRM to make their service better and ensure ultimate customer satisfaction. Our goal is to go above and beyond so that ultimately we can turn someone from a frustrated customer into an evangelist. Munchery using CRM to monitor their performance, measure customer satisfaction and track all the ordering process. Also to share feedback with their chefs to make them more productive and serious. These are the examples of companies using CRM to ensure phenomenal growth. How to Choose the Best CRM? To choose the best CRM solution, you need to consider your needs and expectations first. Why and where you want to use the CRM solution for? Increasing leads, tracking customer activities, managing a strong bonding, generating insightful reports and getting increased revenue, happy-loyal customer base are some of the obvious expectations you want to meet with a CRM. Moreover, try to pinpoint some extra fields and features you would need according to your initial plans and desired goals. This will help you to easily find the best solution for your project. Be definite and remember these fundamental facts while selecting a CRM solution. There are lots of CRM solutions in the market. Odoo CRM, Hubspot CRM, Salesforce CRM, and Zoho CRM are some of the great examples of the SaaS-based solution. But we suggest WordPress based solution regarding its power, security, customization, and cost. You might know the immense popularity of WordPress over recent years. SaaS software is good but costly, not easily customizable, and fit specifically for big organizations. Now let's pinpoint some big players of the WordPress industry. There are lots of CRM solutions within the WordPress community too. You could choose any of them regarding your needs and expectations. Our pick for you is certainly WordPress CRM, WP-ERP. Try to find why WP ERP is better than other CRM solution in the market. WP-ERP is the all in one solution, easy to use and fit for all type and even every step of your business. You could check how to get ahead of your competition with free WordPress CRM plugin. You go small or big, CRM is the solution you should consider from the first day of your Business journey. Even non-traditional Companies using CRM to meet their desired goals. You could just fall behind if you ignore taking this built-in solution. Select the best WordPress CRM solution for your project and skyrocket your business with automation. CRM software does not only help to keep customer records, but it will also enable you to make the best decision for your business. Learn more about the importance of CRM strategy and try to select the right one for you. Are you using a CRM solution for your non-traditional business? Or someone else of your friends/neighbors using? Let us know. Have a good day!